Item #44704 : Original era manufacture. 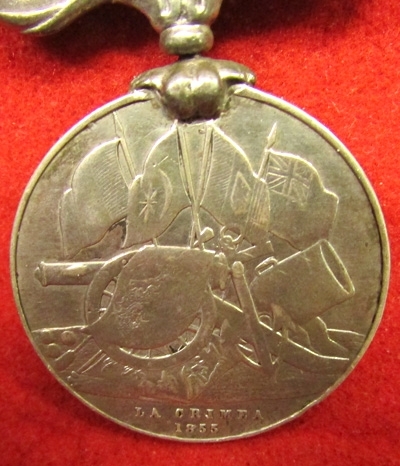 A Turkish War Medal, Sardinian Issue, awarded to a British Crimean veteran for service in the war in the east, 1854-56.This example has been contemporarily modified, by the planchet being plugged and a British Crimea medal suspension being installed; a common practice back in the day.It is named on the edge to; No. 2207. SERJT. GAFFNEY. 33rd REGT. This washandstamped in capitol letters, with serifs. 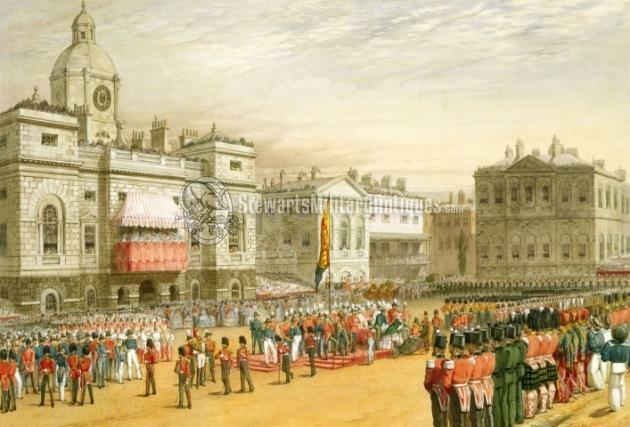 Then Private James Gaffney's name appears on the roll of Crimea medals presented by Queen Victoria at Horse Guards, on the 18th of May 1855. A notation by his name states he was wounded at the Alma. 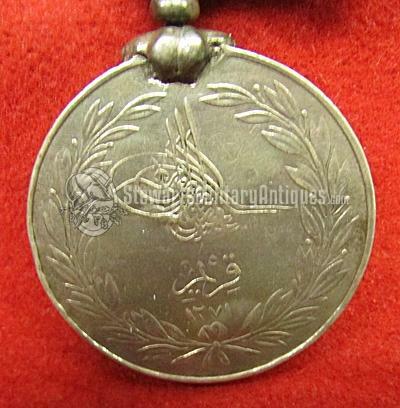 Medal rolls show him with the clasp Alma, and a posting with the 33rd Regiment of Foot at Deesa East Indies in 1861. The medal is sound, displaying typical age and wear, with an older replacement ribbon.